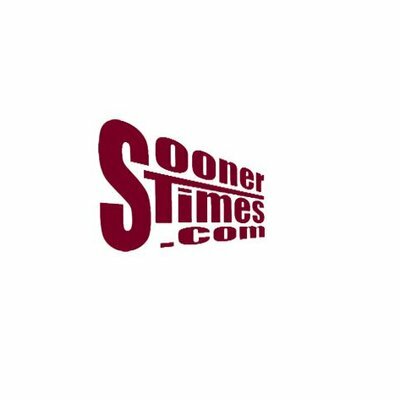 SoonerTimes Home > SoonerTimes > OU Sports > Sign of the Sooner Times. Sign of the Sooner Times. What has happened on this board over the last few months is a solid sign of the excitement among all OU Sooner fans. I posted a few weeks ago about December of 2018 was an all time record for activity on this board. As it turns out November, December of 2018 and January of 2019 are the three highest months in our history. We just blew the stats away. December of 2018 and January of 2019 were virtually tied. The total traffic statistic is made up of visits, number of posts and number of page views along with a couple other things. The reason for this is obvious. First is the excitement over the hiring of a new DC and new defensive coaches. Second, is the number of really good members we have picked up over the last couple of years. I think all of the above is due to the hiring of Lincoln Riley. In two short years Lincoln has rejuvenated the OU fan base. His methods have totally altered the way the OU football program works. New coaching methods. New recruiting techniques. And, I believe a new personality in the way the OU head coach deals with the media. At least this is my take on the significant uptake on the traffic statistics here at SoonerTimes.com. Certainly. We all recognize that in a really great way and try to be disciplined and structurally sound in every message we post. We don't claim to be better than anyone else, we just focus on ourselves and work hard and try the best we can. What do you mean "We don't claim to be better than anyone else" as I do think we are better than all the rest! it's all about execution, execute properly and you will be better than most. soonerBAS wrote: it's all about execution, execute properly and you will be better than most. And who exactly are you proposing that we execute? My favorite " Sunny Place for Shady People".Best Forum out there "Bar None"Walt,Clint,and Crew Thanks for all you do.Unfortunately I'll be around a while!!!!!! HEY! I'm sitting right here! High usage is also a very high compliment to the administraters who keep the board working, and set the tone of friendliness and discussion without rancor. THANKS!! This is an awesome place. Lots of good commentary and info without having to wade through the muck-and-mud of middle school type insults...... Well, usually. Heh. Thank you Walt and all the other administrators for keep this place welcoming, clean and fun. Onwards! This place is posting in a great way. Actually, you should thank ArmySooner for all of the SoonerTimes NASCAR traffic that he brought in. that is the real reason for the increase. ClintA.Adams wrote: Certainly. We all recognize that in a really great way and try to be disciplined and structurally sound in every message we post. We don't claim to be better than anyone else, we just focus on ourselves and work hard and try the best we can. No, sybil and her thumb is the one that makes this board go around. Love this place, that's for sure. Thanks to all here who help make this the best place for Sooner anything! SB, actually Army's NASCAR traffic shows up as a negative for our stats. Same with golf, both watching or listening, hockey stuff and socker [isn't that is the way it is spelled]? ...just because Walt doesn't appreciate the NHL or Golf doesn't mean he's a bad guy or anything. He's managed to overlook my warts & shortcomings, and given me a long enOUgh leash to hang around. If I ever leave it will be because Walt told me to hit the road. And I've told him, (yOU can ask him) if yOU ever want me gone, just say so. Just like Joe Washington, I'll be smoke thrOUgh a keyhole GONE, quickly & quietly! I'm eccentric. I'm unusual. I'm different, but my peers here make me feel part of a social media group even if on the fringe. Somewhat comforting for a dinosaur SOONER fan looking for the tar pit. SOONER TIMES MB IS THE BEST OUT THERE. It's good to hear that the numbers are starting to bear that OUt. Want to be on the real pulse beat of SOONER fandom, SOONER TIMES is where you need to look first. "Old Age and Treachery Will Always Triumph over YOUth and Skill!" Good thing that Mike Stoops got the axe or we would have killed each other by now. Every one has to have some warts in their life, right? Well you twits, why didn’t you tell me y’allson twittness! Maybe I had knap in there or a brain transplant, or something? Now I’m a followerer. Walt are the numbers for February? It seemed kind of slow overall. Inquiring minds and all.